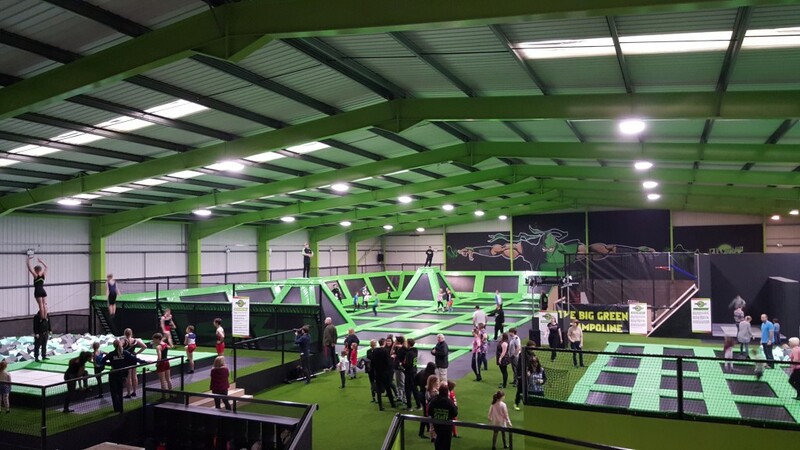 Croft Architecture is bouncing into 2016 on a high after winning commissions to project manage the creation of five Flip Out trampoline arenas across the UK. A successful commission to work on the recently opened Flip Out Stoke, on the Stone Business Park, led to a meeting between Croft Architecture Managing Director, Carl Croft, and Flip Out UK. Now, the Stafford based architecture practice has won commissions for new Flip Out arenas in Ashford, Kent, Sandwell, West Midlands, Southampton and the London Flip Out, Wandsworth. 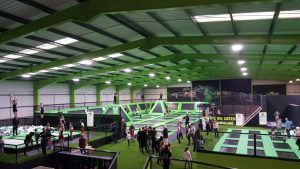 “Indoor trampolining arenas are among the latest crazes to hit the UK and Flip Out is leading the way,” explained Carl. Croft Architecture were commissioned to project manage the complete design and fit out project at the former City Link depot, Stone. The architects drew up a planning application and, once planning and building control approvals were gained from Stafford Borough Council, there was a tight schedule to meet to ensure Flip Out Stoke was launched in good time for the anticipated Christmas trade. Croft Architecture provided a full project management service including the tendering process for work on the building. “We issued the tenders to potential contractors and advised the client on the most advantageous responses. All companies had to prove best value,” said Carl. 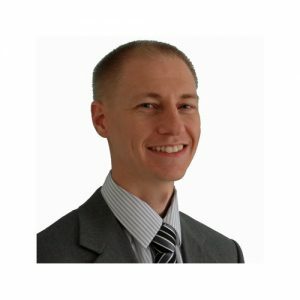 “We are delighted that our project management capabilities led to recognition from Flip Out and commissions from four other Flip Out franchises.